This is an unusual war novel: it features Rose Joliffe, a young Canadian girl from Saskatchewan who goes to England to join the war effort, before Canadian women could join our own country's armed forces. Rose has gumption; she goes to England, she faces the devastation and daily fear of war in a way that those in Saskatchewan were not -- even if there was also an air base in her hometown, at which English pilots were trained. So perhaps her family was closer to war than some others. I thought this book was well-researched, giving a new perspective on wartime and women's roles. Rose was a good protagonist; interesting, involved, determined. She does get a little lonely in England, though, and falls into an affair with a married man who is clearly (to the reader) a complete cad. I didn't feel the affair subplot added much to the story, other than length. Rose's journey to find her role in wartime was plenty of plot, and was powerful. 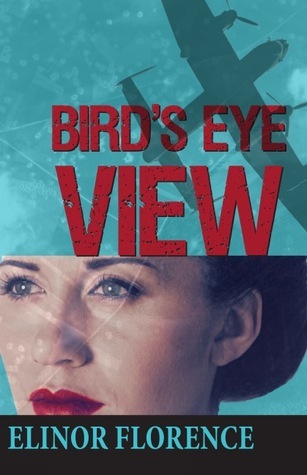 If you're looking for a straightforward historical novel, one which provides a new vantage point on the ways that women were involved in WWII, try out this read. I particularly liked the descriptions of Saskatchewan and of Rose's homesickness -- I thought that these were captured very well and added a new angle to stories of war. Rose's actual job as an aerial photographic interpreter is also really fascinating, and fits in with her background and experiences. I enjoyed learning details about this occupation and how it was used during wartime. The feel of the story reminds me of a tv show I'm watching now, the rather soap opera-ish "The Halcyon" on BBC -- mostly for the young woman who is a main character in that show, also set in the early years of WWII, who joins the women's voluntary service. She also resembles the cover model of this book, strangely enough! I enjoyed this novel, learning new elements of war work that I hadn't known of previously, and also discovering a great new character who was daring and inquisitive. It's nice to see another side of women's work in these years. For another tale of Canadian women in wartime, also connected with flying (but told in a saucier tone) try Jeanette Lynes' The Factory Voice. Set entirely in Ontario, this read about factory workers building planes in Northern Ontario is snappy and strongly female-oriented as well. I like the sound of this unusual war novel. Wonderful review, as usual! I hope you enjoy the long weekend. We're expecting rain so I hope to get some extra reading in. It was such an interesting take! You enjoy the weekend too - sometimes a rainy few days to relax & read is just the right thing. I read this book last year and enjoyed it a lot. The characters are so human, and the story is engaging, while the historical setting (clearly deeply researched) just flows as part of the story. You are right, the history is so completely threaded into everything about this story. So realistic & natural, and a very good read.